Two recent reports attracted my attention. First, at Microsoft’s Worldwide Partner Conference, Steve Ballmer noted that Microsoft runs more than one million servers in its datacenters. Second, Microsoft CFO Amy Hood said that Office 365 revenues are now running at $1.5 billion annually. Both figures are impressive but as always, the devil is in the detail. James Hamilton, ex-Microsoft and now an Amazon VP, took a look at the server number and calculated that the cost of putting this hardware in place is in the order of $4.25 billion, of which between $1.45 and $2 billion is the capital cost for the million servers, plus or minus a few hundred million dollars, depending on the exact configuration of the servers and whatever discount Microsoft managed to extract from the vendors. Throw in networking, storage, operations, and other costs and the economics of putting these massive multi-tenant cloud infrastructures come into view. The exact annual running cost of the Microsoft datacenters is not clear, but obviously keeping a million servers going consumes a lot of power and cooling, not to mention the operations (people) and support costs. In addition, build-out costs continue to add resources to deal with customers who want to use the new services plus you have the costs of managing the migrations. Then we have to factor in ongoing software development to create and upgrade services like Office 365 and Windows Azure. In addition, there’s the ongoing investment such as the $500m reported by the Sunday Times (July 21) for a new datacenter in Dublin that is required to provide extra space to allow for growth in customers. In short, this is a very expensive business indeed. Scale is important when you’re selling mailboxes at $6 a month. The $1.5 billion number looks big but it’s not clear how much of it is due to Office 365 cloud services and how much is down to the new Office 365 subscriptions covering the traditional Office desktop applications. Just for kicks, let’s say that $1 billion of it is revenue for cloud services and that an “average” cloud consumer pays $10/month. This means that Office 365 might have about 8.3 million paying customers at this month. The number of actual users is probably higher because Office 365 also supports Microsoft employees . It might be lower too, if the average revenue per user is more than $10/month like the $15/month that Microsoft charges for Office 365 Midsize Business in the U.S.
Azure also delivers some revenue. Bloomberg reported that the Azure and associated programs had passed the $1 billion annual sales landmark in April 2013. Between Office 365 and Azure, Microsoft might therefore be seeing cloud services revenue just north of $2 billion annually. Put another way, even though the hype is definitely flowing with “the service”, the number of actual paying customers is not particularly high when compared to the number who use on-premises Windows or even those who use Google’s services, all of which are cloud-based. 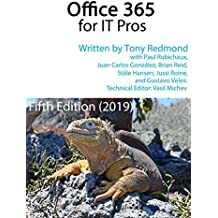 For example, the Radicati group estimated the number of Exchange users at 360 million in 2011, 76% of which were classic on-premises deployments with the remainder spread across cloud and other managed services (many other companies offer hosted Exchange to compete with Office 365). Microsoft’s latest financial results tell us that cloud services are not currently producing sufficient revenue to realize a return on the investment that Microsoft has made to date to create and run their datacenters. It will be interesting to see how quickly Microsoft can persuade customers to move from on-premises to cloud services to allow them to balance income with expenses. Cloud adoption is accelerating but these numbers prove that a very large transition must happen before profits can accumulate. Of course, I am not a professional analyst and this interpretation is based on a small number of articles that have attracted my attention. I wouldn’t go and take a punt on Microsoft stock based on this analysis! This entry was posted in Cloud, Exchange, Office 365 and tagged Azure, Microsoft cloud services, Microsoft datacenters, Office 365. Bookmark the permalink. Great article Tony.. I’m still stuck on the ‘MORE THAN ONE MILLION SERVERS’ in their datacenters.. I’m sure everything is fully automated but WOW..
On another note, I’m also interested to see how they persuade costumers to make the switch.. By default, I think its a matter of time before corporations revisit their current IT budget and do a cost-analysis between On-Site and Cloud Based services. Thanks Again for the information..
After the NSA PRISM news, no sane IT manager will put corporate Emails and data on the Public Cloud servers / Office 365. I have heard several companies cancelled plan to Public Cloud / Office 365. Before the NSA PRISM news Maybe Public Cloud was a good investment. But after the NSA PRISM news Public Cloud is a bad investment. Many believe that Public Cloud servers have backdoor access, so now companies are investing in Private Cloud & On-Premises. I thought the same thing John.. but I’ve checked MS stock since that information leaked and their stock actually increased.. I hate to say this but the stock has gone down to $31 from $37, you should not look at the stock because that shows lots other factors besides Public Cloud investment. The issue is most of Enterprises do NOT Trust Public Cloud and the NSA PRISM news made it worldwide news that Public Cloud servers have backdoor access. PRISM has nothing to do with Office 365 choice … service and support does and will. Companies have cancelled Office 365 move because of the NSA PRISM news I know serveral today. Backdoor access to the Public Cloud servers means backdoor access to Office 365 servers. Once Office 365 has proper support and level of service dive in. There is a price to pay if you want to protect the nation. Well I think the solution is Private Cloud / On-Premises. Tom – what if MS decides that 2013 Exchange is the last one they support on prem ? Mark my words all signs are pointing this way … better get your users used to Office365 now … Hybrid deployment perhaps … As far as NSA worries … I don’t see anything wrong, it this their job as mandated by democratically elected government. As we said before, no sane IT Manager wants to put data on Public Cloud servers with backdoor access, so the solution is Private Cloud / On-Premises for most Enterprises now. Sanity of IT folks has very little to do with decisions like this is many cases I am afraid. No sane IT manager would allow such a secure device like iPhone or Android with all the back doors build in, but somehow they are all over. Even DOD approved Apple and Android. Better start hybrid setups so you are prepared, ior they will someone who will. Cloud is upon us. I agree with Tom, after the NSA PRISM news. Companies are canceling Public Cloud projects because of security reason & backdoor access to Public Cloud servers. I know several Public Cloud projects got cancelled. You can always install Exchange 2013 and run it as companies run Exchange 2003 still and Windows XP forever … or switch to Lotus Notes 🙂 – they also have really good Cloud/Hybrid easy to deploy. I am sure IBM is so upset at US Gov (they lost a 600 million $s contract to Amazon) that they will not give any of your information out. Use it to your advantage … As far as licensing … if you were in a steak house run by Microsoft there would be a price difference for the same steak – medium vs. well done (this one uses more energy to prepare) and extra charge if you want knives and forks. Looks like we have 2 camps here. Office356 is not really public cloud. And again what if your only choice for Exchange is Cloud in not to distant future ? The only reason to be afraid of “back door” is if you have something to hide. Do you ? 🙂 Actually according to Microsoft there no back door really so I don’t see an issue here. Real reason is lack of proper service and support. I tried Azure support for fun … simple question took almost a week and what they did ? Well they directed me to a link on the website in Finland. Almost everyone in IT is familiar with search engines … even Azure support. Perhaps it took so long becouse they use bing I use ixquick and duckduckgo maybe I have a competitive advantage. is last on prem and companies will simply say OK.
1. Revise support for Office365, so it is superior. 2. Simplify offering and lower the cost – so you have Home, B1 and BPlus Office365. 3. Publicly announce that Exchange on-prem is to be phased out in six years. If they can deliver on 1 and 2 – there is no reason to keep Exchange on-prem as there is no reason to generate your own electricity. And what would you as customer do ? Switch to something else ? Seriously ??? Now on the topic of burgers you may be up to something … with all the data centers and heat generation I think McDonalds should start building their food preparation plants in close proximity. We will be in the cloud sooner that we think. If you read my previous posts – security is not an issue – it is simple economics and reliability. Most business leaders don’t understand and want to understand IT – cloud gives you a perfect solution … and shifts risk as well. Many Customers want Exchange On-Premises and other Customers want Public Cloud. MS is smart & will listen to worldwide Customers as they did with Windows 8 & now Windows 8.1 🙂 with start button. I am just pushing cloud so companies will jump in (consulting $$$’s) get burned and will go back to on prem (consulting $$$’s) … you know Y2K (perpetual version). Why would they use Linux ??? Returns come in all shapes and sizes. Is iCloud profitable? Maybe, but I bet not very if at all. Does it matter? Nope. iCloud exists to help sell iDevices which are massive profitable. You need to think holistically about a business model. You can’t look at one piece and conclude anything interesting.